Multi Needle Embroidery Machines Vs Single Needle - Trishtha Industries Pvt. Ltd. It comes with a flat-bed bottom and is similar in appearance to a traditional stitching device. It comes with only one head and a single needle, which stays static and the designs are embroidered according to a computerized pattern. Savvy computer users can easily use it and this equipment can easily be bought from local stitching device stores. However, these are not capable of embroidering a number of similar samples and wastes time. It also comes with some limitations in hoop, which make it difficult for stitching bags, accessories and ready-made clothes. This device consists of 4 to 10 needles, each of which can offer varied choices in color. These come with two points for attachment of hoop as well as ability to create more hoops those single-needle devices. These help finish most of the multiple color designs in an easier and quicker way, as well as with greater accuracy than most of their single-needle counterparts. If you buy more hooping systems, it can help you embroider accessories, pockets etc very easily. However, these are costly to purchase although the extra features are worth the expense. 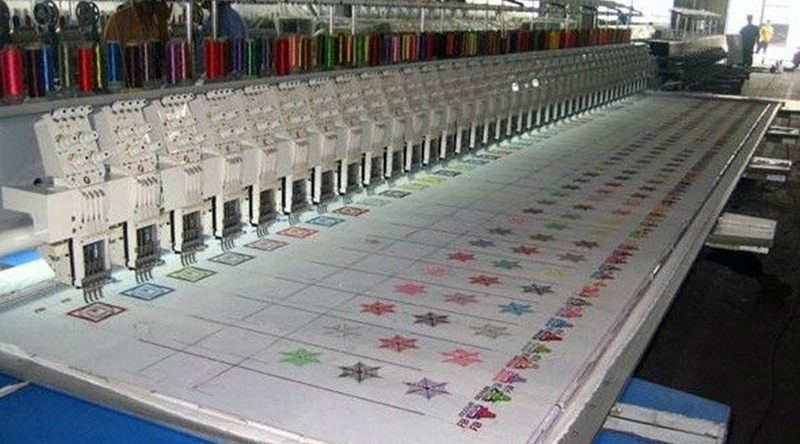 If you intend to embroider only for personal purposes, a single-needle embroidery machine can be a good pick for you. However, a multiple needle machine is what you should order if you are planning to set up a small embroidery business, possibly from your home.